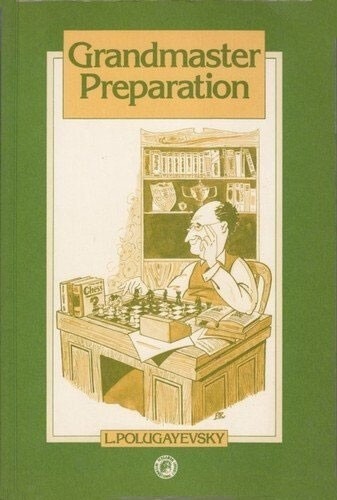 In this remarkable book, Soviet grandmaster Lev Polugayevsky, one of the world's leading players over the past two decades, describes his highly personal approach to chess, which is based on meticulous practice. In the opening, he is constantly striving to surprise his opponents, and this has led to his developing one of the sharpest lines in the Sicilian Defence, which has rightly become known as the Polugayevsky Variation. Here we can share the author's joys and disappointment as he attempts, over a period of many years, to uphold his brain-child against attempts to buy it. The author then delves into the technique of analysing adjourned positions, illustrating this by several fascinating, and at times fantastic, examples from his own games. The final chapter describes how he prepares, both technically and psychologically, for decisive encouters where everything is at stake. He illustrates this with games against many leading grandmasters, including seven World Champions.